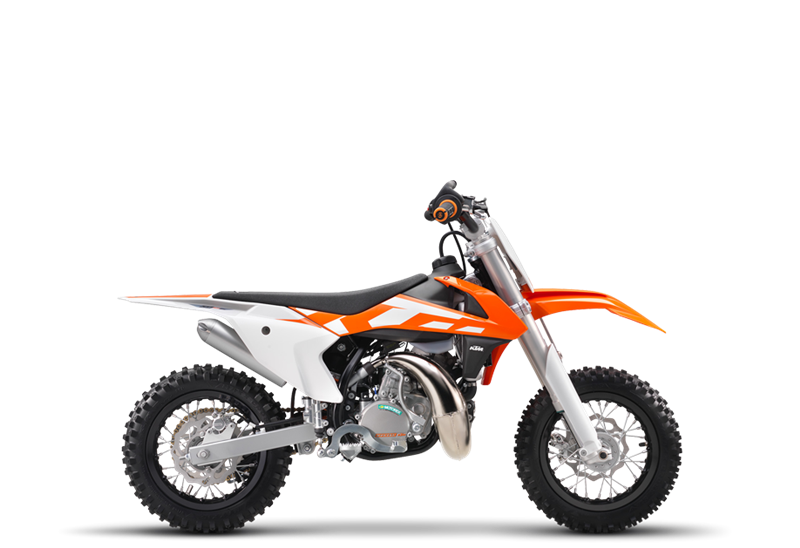 RADIATOR Just like the big KTM bikes, the 50 SX is also equipped with water cooling that even cools the crankcase. Generously dimensioned radiators ensure excellent heat dissipation and therefore high reliability, even under extreme loads. WHEELS Just like the big factory bikes, the 50 SX is equipped with ultra-light, black anodized aluminum rims that easily withstand even the biggest of jumps. The 50 SX is now equipped with the very latest generation tire from MAXXIS, featuring a profile that guarantees optimum grip on every surface. WATER COOLING The liquid-cooling system of the KTM 50 SX, with two large radiators and additional cooling for the crankcase, prevents the engine overheating, even under the most extreme loads. The smallest KTM is even unfazed by coming to blows with the ground.